Italian made leather heels featuring a pointed, closed toe that is accented with beautiful and sparkly pastel sequins. Strappy upper with a lace-up tie closure. Padded footbed for a more comfortable fit. Ultra chic heels featuring an open design with a sleek pointed toe. Strap detail at the ankle has a simple hook-and-loop fastener. Padded footbed for a comfortable step. 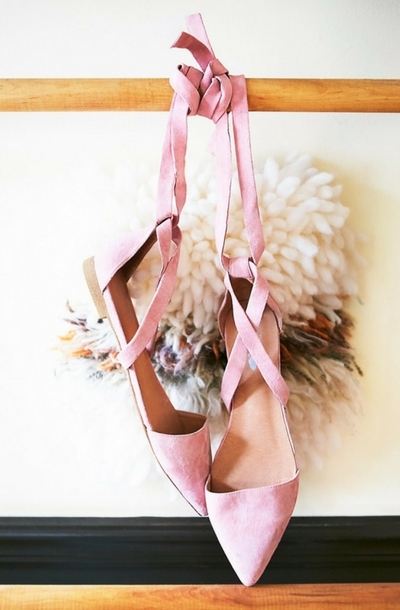 Modern suede flats with ankle wrap closure and pointed toe in a sleek design. 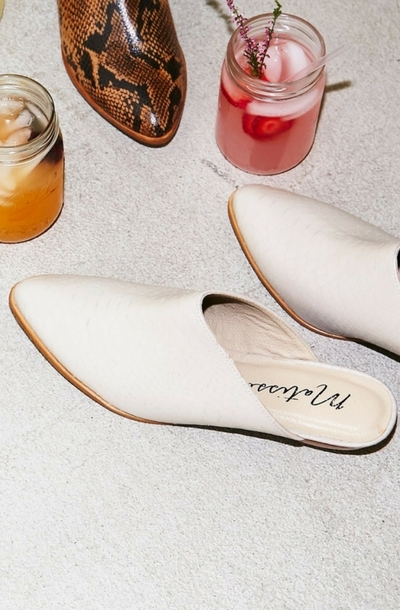 Super sleek mules with an effortlessly cool feel. Featured in a textured or embossed design with a pointed tow. Padded footbed for a comfortable step. Stretchy dotted mesh fashion liner, laced with adjustable ankle tie. Supportive with comfortable padded heels. Made of the finest yarns.